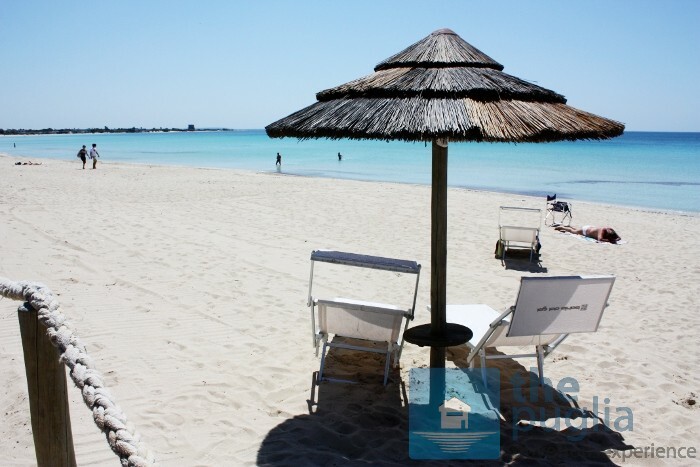 Where can I find the beaches of Porto Cesareo, Torre Lapillo or Punta Prosciutto? Porto Ceasreo in itself, the town, doesn’t have any beaches to advise. It only has one small beach that I wouldn’t suggest because it is the town beach, very small and always packed with people in August. 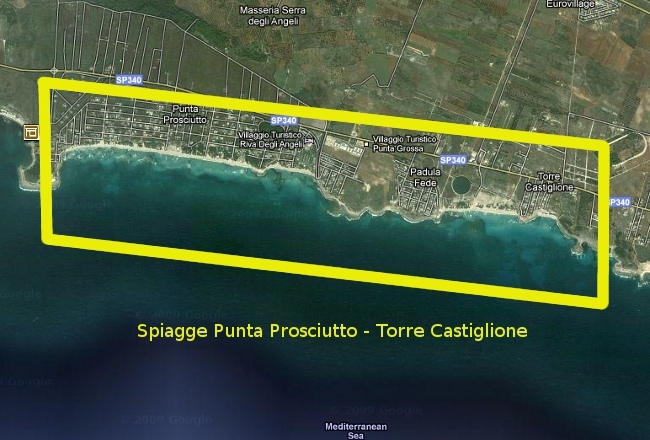 To find the beaches at Porto Cesareo: forget Porto Cesareo and go from Torre Lapillo upwards, towards north, towards the magnificent Punta Prosciutto (we are still in the municipality of Porto Cesareo, ok? Torre Lapillo and Punta Prosciutto are two of its fractions, remember that). 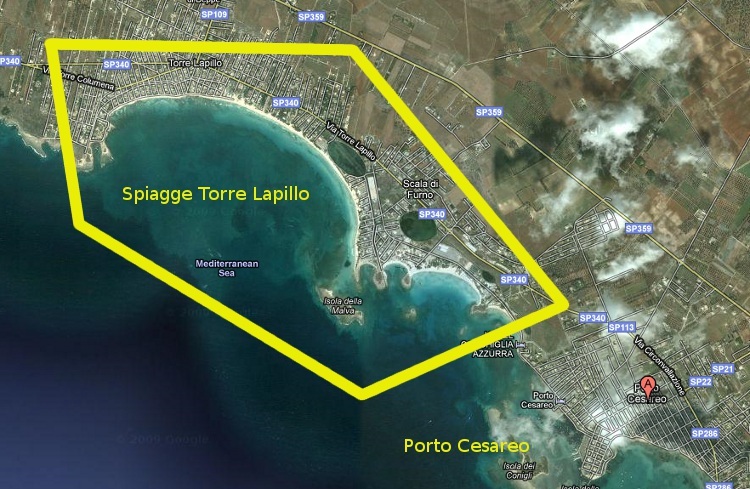 The previous image will show you the beaches of Torre Lapillo highlighted in yellow: did you see how big the bay is? There, that area is all a very long beach, kilometres of fine, white sand, yes. As you can see, I have voluntarily left the area of Porto Cesareo and surrounding areas to the side: there there are rocks, then there’s the port. “http://www.tripadvisor.it/ShowTopic-g1069599-i12807-k3627349-Aiutatemi_a_scegliere_meglio-Porto_Cesareo_Puglia.html qua la 3° risposta dice che a porto cesareo centro il mare non è un granchè..(forse perchè più vicino al porto)e che le spiagge sono migliori a torre.. Qua invece dicono il contrariohttp://it.answers.yahoo.com/question/index?qid=20080326102213AAnwQQ9 cioè che la spiaggia a torre era sporca e i fondali erano piu rocciosi che sabbiosi. – Ideal for children: the water in some parts of the bay of Torre Lapillo is very shallow for many metres! But also in many parts of Punta Prosciutto. I hope I have been helpful to you, in any case you can contact me via email if you need further information!